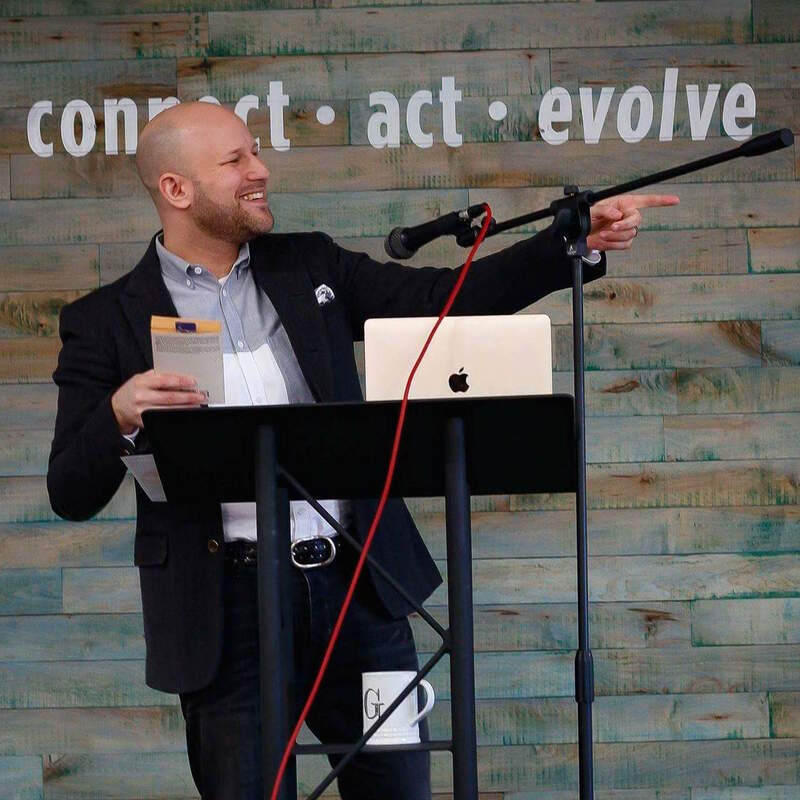 A prominent leader in the national movement to build positive, inclusive and inspiring humanist communities, Greg M. Epstein has served the country’s rapidly growing population of nonreligious people for nearly two decades. Described as a “godfather to the [humanist] movement” by The New York Times Magazine in recognition of his efforts, Epstein was also named “one of the top faith and moral leaders in the United States” by Faithful Internet, a project coordinated by the United Church of Christ with assistance from the Stanford Law School Center for Internet and Society. Greg currently serves as the Humanist Chaplain at Harvard University, a position he has held since 2005. He joined the Massachusetts Institute of Technology (MIT) Office of Religious Life as Humanist Chaplain at MIT and “Convener” in 2018. Greg also serves as Executive Director of the Humanist Community at Harvard and of the Humanist Hub, a secular congregation based in Cambridge, Massachusetts. The Hub is the first-ever Center for Humanist Life on a university campus. Greg has helped establish similar organizations at Yale, Stanford, USC and other academic institutions. Greg has also served in an advisory capacity for a diverse range of interfaith and humanist institutions, including Boston Mayor Martin Walsh’s Interfaith Advisory Task Force and the Advisory Board of the Secular Student Alliance. He also supported “The Inclusive America Project,” an initiative of the Aspen Institute co-chaired by former Secretary of State Madeleine Albright. From 2008-2014, he served on the Executive Committee of the Harvard Chaplains, with a term as vice president. Greg is a frequently-quoted expert on humanism, religion and ethics. Greg authored the New York Times bestselling book, “Good Without God: What a Billion Nonreligious People Do Believe.” His writing has appeared on CNN, Newsweek, The Washington Post, Salon, Cognoscenti and WBUR. His work has also been widely discussed in the national and international media, including the New York Times, CNN, Boston Globe, and on dozens of radio and television programs. Over the years, Greg has led and facilitated thousands of humanist and interfaith programs and educational opportunities at Harvard and elsewhere – universities, community and state colleges, urban public and expensive private high schools, at the United States Congress and Senate, megachurches, synagogues and Islamic centers, and interfaith and civic institutions of many other kinds. Greg received the Humanist Visionary Award from the Foundation Beyond Belief and is the 2018-19 recipient of the Irving Wolfson Award for humanist thought in the Unitarian Universalist tradition. In 2005, Greg received ordination as a Humanist Rabbi from the International Institute for Secular Humanistic Judaism. He holds a B.A. (Religion and Chinese) and an M.A. (Judaic Studies) from the University of Michigan, Ann Arbor, and a Masters of Theological Studies from the Harvard Divinity School. Greg and his wife Jackie, an attorney, live in Somerville, MA with their young son Axel. Follow Greg on Facebook at facebook.com/gepstein and on Twitter at twitter.com/gregmepstein. There are several opportunities for students to meet with Greg Epstein. Students and Harvard and MIT affiliates, please contact greg_epstein@harvard.edu / gepstein@mit.edu to schedule a meeting. The Humanist Hub will work to accommodate the request of others for a meeting. Please send an email, briefly stating the reason for the meeting, to info@humanisthub.org.